Digital Oscilloscope with a touch screen. 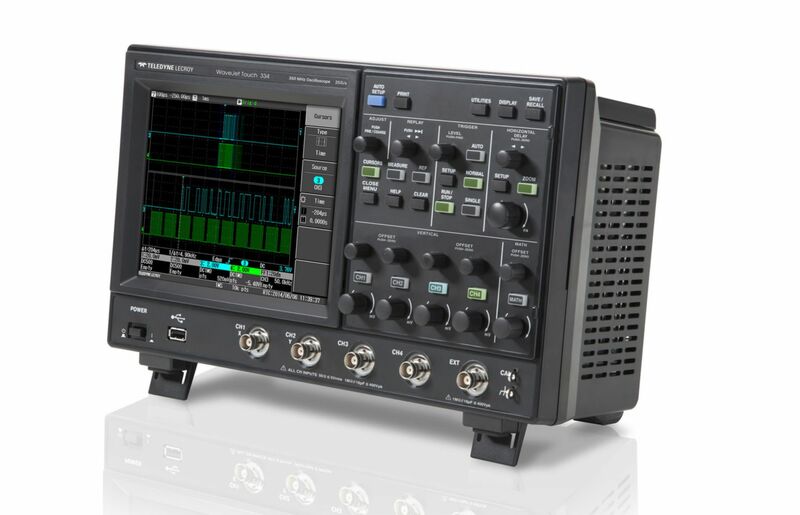 Touch screen display of 7.5"
The WaveJet Touch from Teledyne LeCroy is a 4-channel oscilloscope with touch-screen capabilities to make control and debug fast. It provides high performance, a host of useful features. Sampling at 2 GSa/s, every fine waveform detail can be captured and easily measured. The small form factor and light-weight design make it easy to carry and use anywhere and its ultra-quick boot time makes the WaveJet Touch 334T fast to use when needed, acquiring signals in less than 5 seconds from turn-on. The built-in zoom function lets you get a close look at signal details.